Where Will Lilly Singh Fit in With the Best Ranked Late-Night Hosts? 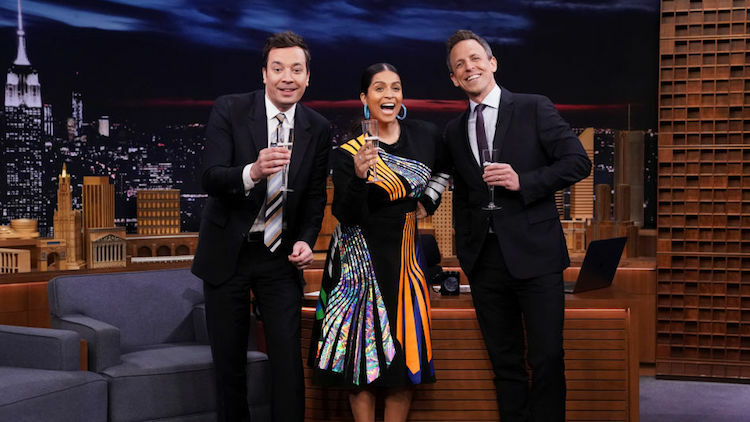 Lilly Singh has broken down the door of the late-night boys’ club as she will become the first woman to host a late-night talk show on one of the Big Four networks. The Canadian-Indian YouTube star, who recently came out as bisexual (you go, girl), will debut a new late-night show in September 2019 called A Little Late with Lilly Singh. Singh’s glass ceiling-breaking show will air at 1:35 a.m. and will be a half-hour program with guests, comedy sketches and segments. She’s essentially replacing Carson Daly, who stepped away from Last Call with Carson Daly, which ran for an inconceivable 17 years. NBC is hoping that the 30-year-old, known to her 14 million-plus YouTube subscribers as IISuperwomanII, will draw a new, younger, more diverse audience to late-night television, which is in need of some flavor. Now that there’s a new face in the crowd, where will Lilly Singh fit in with the best-ranked late-night hosts?